Devon residents can find inspiration on how to give the things they no longer want a new lease of life this week, by repairing, refurbishing, repurposing or giving them to someone else. 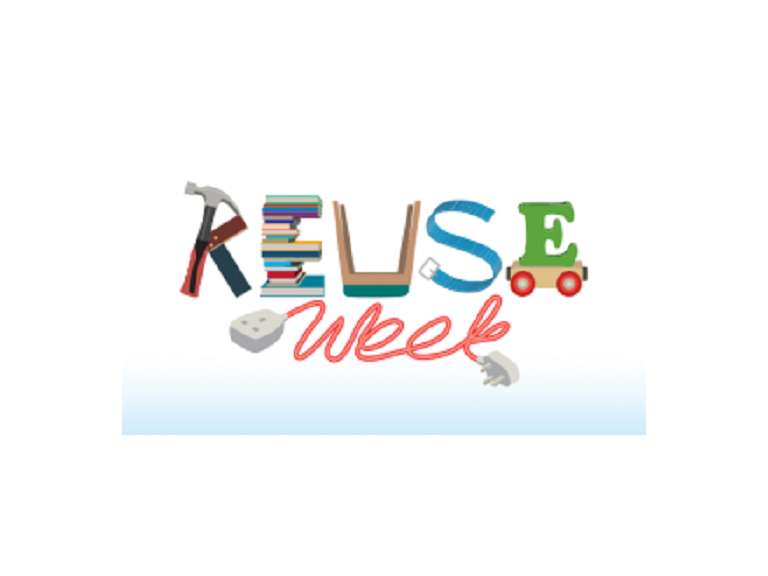 Recycle Devon is championing the second annual ‘REUSE Week’, from Monday 5 March to Sunday 11 March, which showcases the work of Devon’s many and varied Reuse organisations. REUSE Week is a celebration of these diverse organisations and what they do. Some groups help people swap, donate and loan the things they no longer need; while others specialise in fixing, renovating or repurposing once-loved items. But they all share a common goal – to reduce waste, increase opportunities for the community and help disadvantaged members of society. According to the Local Government Association UK households are throwing away £400 million worth of items every year that could have been reused. Throughout the week the groups will host events and promotions in every corner of the county, encouraging us all to think differently about what we buy and what we throw away. “Reusing reduces waste and how much we consume, which is good for the planet and our pockets. If an item is reused it doesn’t need to be disposed of or even recycled. “Throughout the week charities, enterprises and community groups who run reuse related projects all over Devon will be showing what they do and how they help get the most of things we no longer want. “We try to improve the lives of those on very low incomes by providing the essentials to set up a home and re-using donated household items, that would doubtless have gone to landfill. We rely on used items to help those in need and Reuse week is an excellent way to remind people that just because something isn’t new it doesn’t mean it should be thrown away. “The Fix Fest is an opportunity to get all sorts of items fixed, repaired, or recycled into things that will be re-used. We have people who have volunteered their skills, including a professional electrician, a professional bike doctor, digital and technical fixers, along with welding volunteers, and general fixers. “We are a not-for-profit enterprise that aims to keep reusable items away from landfills, by putting them on sale in an Aladdin’s cave of pre-loved treasures. For a full list of events, discounts, offers click here.